Korean cinema has become known for its thrillers, and though the genre is one that is popular around the world, there is one particular take on the genre that Korea has excelled at: let's call it the emotional thriller. By blending thriller and action elements with melodrama, a cultural mainstay, the emotional thriller is something we come across time and again in Korean films. Characters in these films are often scarred by their pasts, which are invariably colored by events from Korea's dark contemporary history. Coinciding with narrative elements, these backstories invariably play a central role and prime the gears for enormous emotional releases in the final act. Eleven years ago, Jang Joon-hwan debuted with Save the Green Planet, a madcap hybrid of genre with an energy scarcely seen before or since in Korean cinema. Though a flop at home, the film built a steady reputation overseas, gradually rising to cult status. Immoderate and irreverent, the film was a greedy amalgamation of genre conventions, buttressed by a close identification with Korea's troubled past. Though horrific, hilarious, tense and at times even romantic, the film's standout moments were marked by tearful reminiscence and catharsis. For his long-awaited sophomore feature, Jang has opted to shed the generic schizophrenia of his debut in favor of a more streamlined approach. 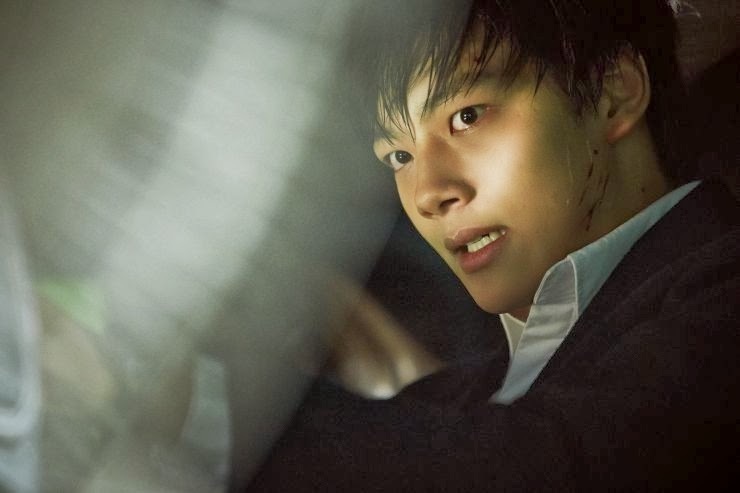 With Hwayi, he retains the building blocks of the emotional thriller but casts aside the disparate elements that marked his first outing. Hwayi is the name of a boy who is kidnapped as a toddler and subsequently raised by a group of five criminals. During his upbringing he is trained to be a killer and when he turns 17 he's brought on a job and a gun is finally put in his hand. Though he pulls the trigger, he is unaware of the identity of his target but when he finds out, his relationship with his 'fathers' takes a violent turn. Familiar and distant, and marked by both simplicity and depth, Hwayi is fraught with paradox and difficult to define. 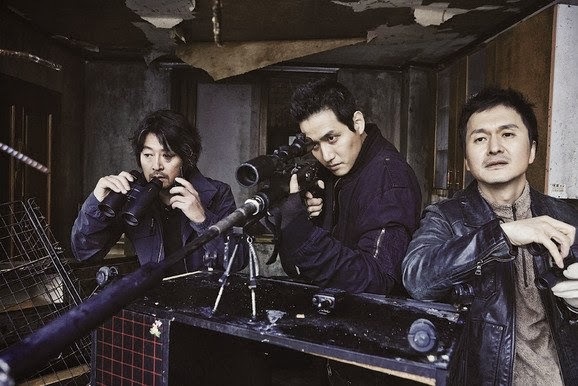 While a dark Korean revenge thriller with all the prerequisite personal twists and turns that are associated with the subgenre, it also works just as easily as an action film. Filled with car chases and big shootouts, it is a bombastic show that remains a personal drama at heart. It plays out in a predictable way yet features an unexpected amount of philosophical ruminations on the dark instincts of our species. Reminiscent (perhaps even derivative) of the Korean thrillers that marked the rise of contemporary Korean cinema around a decade ago, the film feeds us moments that have thrilled us in the past without really challenging us with anything new. However some elements do feel fresh. The largely rural location and autumnal timeframe of the story yield an arresting, if glum, aesthetic, filled with hues of dusty brown. Throughout, there's an earthy musk to the atmosphere that is far removed from the largely urban-set thrillers that we've become used to. If anything, the world Hwayi inhabits shares more in common with the landscapes of Korean independent cinema evidenced in such films as Paju (2009) and Pink (2011). With his dead droopy eyes, slumped shoulders and aloof, menacing gait, Kim Yun-seok is in his element, channeling the coldly efficient criminal he played in The Yellow Sea (2010). Without an axe in his hand Kim doesn't quite make the same impact but it's hard to imagine anyone else in the role. However, the real star of the picture is Yeo Jin-gu, a popular young actor plucked from the realm of K-drama. Many fresh-faced thesps, such as Song Joong-ki (A Werewolf Boy, 2012) and Kim Soo-hyun (Secretly Greatly), have been brought in from small screen, in a bid to tap into their large fanbases. Not all of these transfers have been successful but Yeo more than holds his own in a cast of veterans. Among the rest of the seasoned cast, Kim Sung-kyun hams it up as the more disjointed of the fathers while Cho Jin-woong ably sells the more sensitive member of the crew. Unfortunately, the film does lose some steam in the final act, as big revelations offer little in the way of surprise and a few too many scenes follow a set piece that feels like it should be the big climactic finish. It's great to see Jang back in the game, though fans of Save the Green Planet should note that Hwayi shares little in common with his debut. While strong in execution, the film lacks the immediacy and creativity of Save the Green Planet. At times, it even feels like a warm-up for the returning director. Let's hope that he'll get another chance at bat to show us what he's really capable of.